SAN FRANCISCO (Reuters) - Shares of Snap Inc dropped 4.9 percent on Thursday to their initial public offering price, highlighting investors' loss of confidence in the social media company that faces fierce competition from Facebook. The owner of Snapchat - a mobile app that lets users capture video and pictures that self-destruct after a few seconds - ended at $17.00, the price set in its March initial public offering that was the hottest U.S. technology listing in years. Snap climbed to $29.44 in the days immediately after its market debut but has since declined. Thursday's price was the lowest since the IPO and it did not sink below $17.00. Snapchat is popular among people under 30 who enjoy applying bunny faces and vomiting rainbows onto their pictures. But many on Wall Street are critical of its high valuation and slowing user growth. Snap has warned it may never become profitable. Those worries increased after Snap's first quarterly report in May showed declining revenue expansion, disappointing investors who had hoped the company would surprise them with big numbers. Dipping below an IPO price is seen on Wall Street as a setback to be avoided by chief executives and their underwriters, but it is not uncommon for Silicon Valley companies whose market listings have been hyped to investors. Alibaba slipped under its IPO price 233 days after its stock market debut while Facebook dipped below its IPO price in its second day of trading. Facebook is now up nearly 300 percent from its IPO. Snap's IPO was popular among twenty-something investors, according to Robinhood, a mobile trading app. It recently traded at nearly 21 times expected revenue, according to Thomson Reuters data. By comparison, Facebook has a revenue multiple of 11.6. Since May, the interest rate that short sellers pay to borrow shares of Snap has jumped to 42 percent a year, according to Astec Analytics. Some insiders in Snap's IPO will be free to sell their shares at the end of July, increasing the supply available to short sellers. The Advisor Shares Ranger Equity Bear ETF made money selling Snap after its IPO and buying the shares back after its disappointing quarterly report. 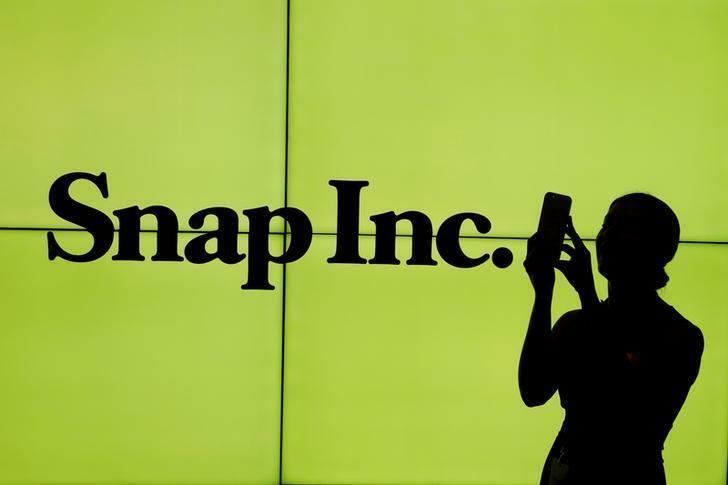 Portfolio manager Brad Lamensdorf said he would consider shorting Snap again once more shares hit the market. "Its price-to-sales ratio is just so freaking high," Lamensdorf said.